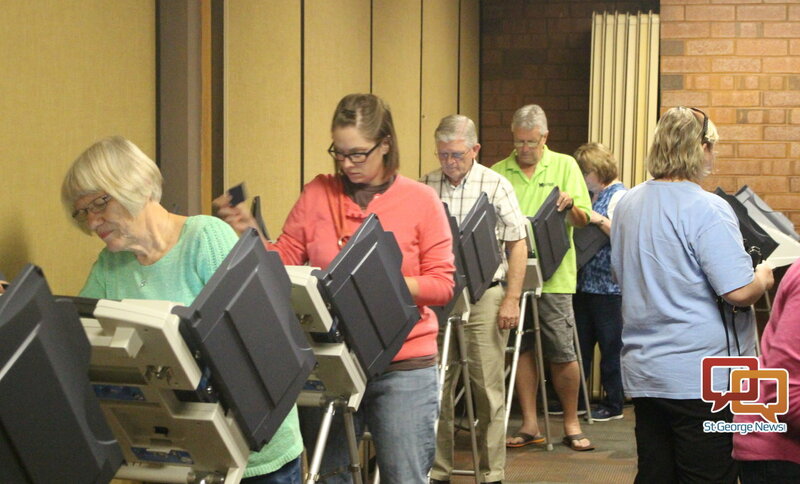 ST. GEORGE – Voting in Hildale, LaVerkin and Toquerville is going to be different this year as those communities have been moved to voting by mail by the Washington County Clerk’s Office. The County Clerk’s Office announced this week it is making the move for 2018 and all successive elections. An exception may be municipal elections, as the municipalities can hold local elections as they see fit. Otherwise, if you are a registered voter in Hildale, LaVerkin or Toquerville, you will no longer have a poll location in your city. 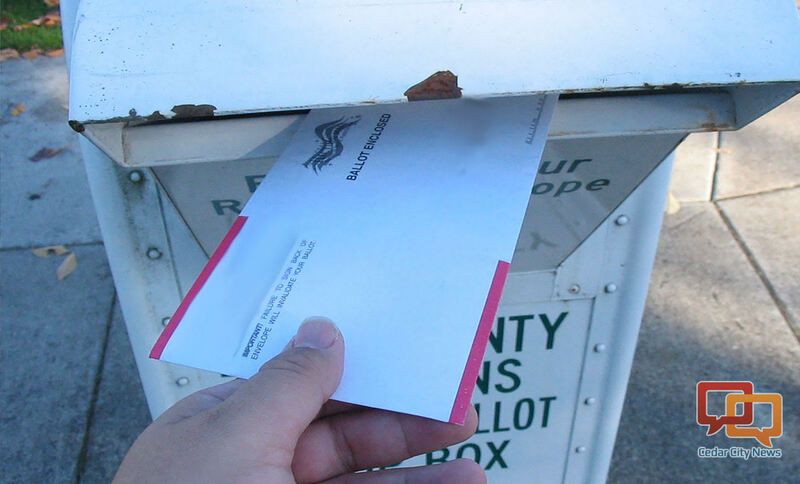 Many of Utah’s smaller municipalities already employ a vote by mail system. There a few reasons why the county is adding these communities to its list of vote by mail locations, Washington County elections clerk Melanie Abplanalp said Friday. Three main reasons include the convenience mail-in voting appears to give voters, it produces higher voter turnouts than going to the polls does, and provides an advantage over the county’s aging voting machines. Part of the touted benefit of the mail-in ballots is that it gets the candidates’ names in front of voters. This is said to help encourage voters to research that candidates prior to voting versus last-minute decision making when standing in front of a voting machine at the polls. Registered voters will automatically receive their ballots in the mail two to three weeks before each Election Day, Abplanalp said. Last year, voter turnout in municipalities that voted by mail was larger than those that did not. Leeds and Springdale had voter turnout of around 60 percent, while Virgin had around 97, Abplanalp said. By comparison, St. George and Washington City, which offered both mail-in ballots and Election Day polling locations, had turnouts of 20.6 and 21.5 percent respectively. Washington City officials have nonetheless noted an increasing use of mail-in ballots among the voters, which has prompted them to considering a move to mail-in ballots for their municipal elections. Adding more communities to the voting by mail system may also prove to be less expensive for the county as it faces replacing aging voting machines with new ones. The current machines have been in use since 2005. As for potential concerns over voter fraud, Abplanalp said there are measures in place to prevent that as every single vote submitted with a mail-in ballot must be verified as legitimate. Currently, 21 of Utah’s 29 counties have their elections done through voting by mail. Abplanalp described Washington County has being a possible holdout on going to a voting by mail system for the time being. The post office cannot “forward” ballots. A resident who will be traveling or away from their residence can go to www.vote.utah.gov and fill out an absentee ballot request, which enables the resident to tell election officials where to mail their ballot for each election. If you have moved or have had a mailing address change, go to www.vote.utah.gov and re-register to vote with your current residential and or mailing address. If you need help or would like to drop your voted ballot off in person, the Hurricane Community Center located at 63 S. 100 West, Hurricane, will be available to assist you on Election Day from 7 a.m. to 8 p.m.
Any registered voter in Washington County who is not living in a “by mail” precinct can obtain an absentee ballot by filling out a request form at www.vote.utah.gov.